The current edition of the Vuelta a España has just arrived to the first rest day after nine stages of hard competition under the Spanish heat and permanently hilly terrain. The situation of the race couldn’t be more intriguing at this point, with the Top 10 riders of the GC within 48 seconds from the first to the tenth spot. This is a review of the most relevant things that happened during these first nine stages. Alejandro Valverde (Movistar) and Ben King (Dimension Data) are without a doubt the two most celebrated winners of the race so far. Both have collected two stage victories and have displayed very brave performances. While the Spaniard seems to be targeting the GC, the American rider is too far from the front of the classification to do so. Nevertheless his victories have redeemed pretty much the entire season of the team Dimension Data that lacked World Tour victories until this Vuelta. Valverde’s second place in the GC is not entirely a surprise given his impressive career and the fact that he has won a Vuelta in the past. But after just an unimpressive performance in the Tour and with his alleged main objective being the World Championships in Innsbruck later in September, many cycling fans didn’t count him among the main candidates. Valverde himself stated right before the beginning of the race in Malaga that the leader of the team was Nairo Quintana and that he was going to ride without any particular objectives on his mind. Then came the victory in the second stage, on the short climb of Caminito del Rey, in which he beat Polish National Champion Michal Kwiatkowski. This was later followed by the third place of the eighth stage just behind the wheel of Peter Sagan, and finally the impressive uphill sprint in Almadén that secured him in second place of the GC. But there was a little downfall at the closing of this first third of the race, on the climb of La Covetilla. It has been the most difficult climb of the race so far and Valverde lost a few seconds against other team leaders such as Wilco Kelderman, Miguel Ángel López, Rigoberto Urán and his teammate Quintana, although he managed to keep the second position and is just one second behind Yates. Could this mean that the Spaniard is not as strong in the high mountains as he was on less hard climbs? It could be. After the race, Valverde said that La Covatilla is a climb that has never been comfortable to him, but that he was feeling good after all. There is plenty of mountain terrain left in this Vuelta and then we all will be able to judge if Valverde is truly in the best shape to win the race. The main obstacle for the Movistar rider is a diversity of strong competitors. The main one right now is Simon Yates who wears the red jersey after a small time loss in La Covatilla. A good initial time trial and the time gap he took in stage six at the also hard climb of Sierra de Alfaguara have allowed the British rider to climb to the first position. Yates is seemingly strong but he also has to keep a relentless vigilance on other team leaders such as Ion Izaguirre, Wilco Kelderman and Miguel Ángel López who are as strong or maybe even a little bit stronger than him based on what we saw at La Covatilla. Mitchelton-Scott has some good names to put at the disposal of Simon Yates now that they have to defend the red jersey, beginning with his brother Adam who is now out of any GC aspiration. On the other hand, Astana also has a great roster that can challenge the Australian squad and its leader López is only 27 seconds behind Yates. Between Yates and López there are a group of riders, which include Valverde himself, that are also more than capable of taking the leading position of the GC at the first chance: Nairo Quintana and Ion Izaguirre being the most experienced and seemingly the more solid right now. Emanuel Buchmann, the German rider of Bora-hansgrohe and stage winner Tony Gallopin from AG2R La Mondiale are also among the Top 6 of the GC but they also lost time on La Covatilla raising the same questions about their true conditions. A little bit down the GC there are riders like Rigoberto Urán, Steven Kruijswijk and George Bennett to complete the Top 10. The three of them are looking solid but without any particular exhibition of power so far. LottoNL-Jumbo will probably play this double card of Kruijswijk and Bennett in the same way it did with the Dutchman and Primoz Roglic at the Tour. For this Vuelta they count on the support of a young promising rider such as Sepp Kuss who had taken the lead of the main peloton in some crucial moments of the race such as Sierra de Alfaguara climb or La Covatilla itself. Without Chris Froome or Geraint Thomas on the horizon the LottoNL-Jumbo tactic could be more effective in a much more open race like this. In the opposite side of these GC contenders, there are the riders that were considered among the candidates but have suffered more than expected during the first days, like Ilnur Zakarin, Richie Porte and Vincenzo Nibali. The situation of the Italian rider of Bahrain-Merida is especially difficult since he is in recovery from a spine lesion that occurred at the Tour and is still suffering the physical consequences, which could mean that he won’t be able to dispute his main goal of the season: the world championships. Richie Porte is also recovering from his crash at the Tour but it seems that there are no major physical consequences for him and that his fall in the GC, which started right on the second stage, is due to him trying not to take his body to the limit of its forces yet. Thibaut Pinot could be considered among the riders that have lost more time than expected, although the Frenchman is still very close to the top of the GC with only 2'33" of disadvantage to Yates. In the uphill finales of this week, he has been almost permanently in the main bunch but the echelons of stage six made him lose valuable time. It is still an uncertainty if he is going to be strong enough to take that time back during the next mountain stages. But team Groupama-FDJ has already had its chance at the podium for a few days with an unexpected Rudy Molard taking the Red Jersey from the breakaway in stage 5. Team Sky is clearly not as dominant as in previous editions and on the fifth day of competition they just capitulated to the breakaway in which the French rider took part. Neither Molard nor the Groupama team were able to effectively defend the jersey when the race arrived to the most difficult terrain. Nevertheless, it was refreshing to see a rider outside the usual candidates take the lead at least for a few days. Meanwhile, sprinters are not getting many chances to shine, as is usual in the Spanish Grand Tour. Although in one of the two bunch sprints of this Vuelta so far, the French Nacer Bouhanni rediscovered the path to victory beating Danny Van Poppel and Elia Viviani at stage six, after some nervous final kilometres because of the wind and crashes. Elia Viviani took a stage victory as well, the third stage in which he surpassed Giacomo Nizzolo and Peter Sagan. The World Champion is not delivering his best performance at this Vuelta although he has been in second place twice now, but the heat and the fact that he isn’t with his best legs right now have conspired to deny him a stage victory yet. There is plenty of Vuelta ahead and those riders such as Sagan himself, Bauke Mollema, Pierre Rolland and others will have the chance to pursue the elusive stage victory they are looking for. And there will be also plenty of chances for the GC riders to make their best efforts in order to get the Red Jersey. 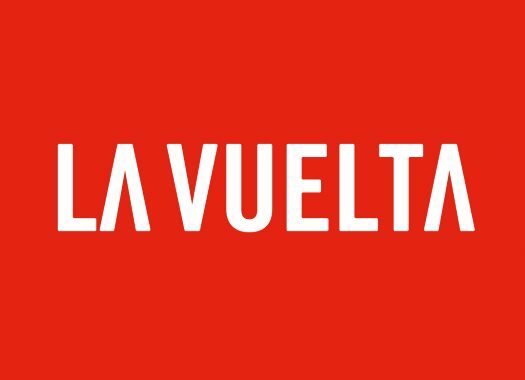 This Vuelta is becoming one of the most unpredictable grand tours in recent memory, which means that the fans will enjoy great battles during the next two weeks.